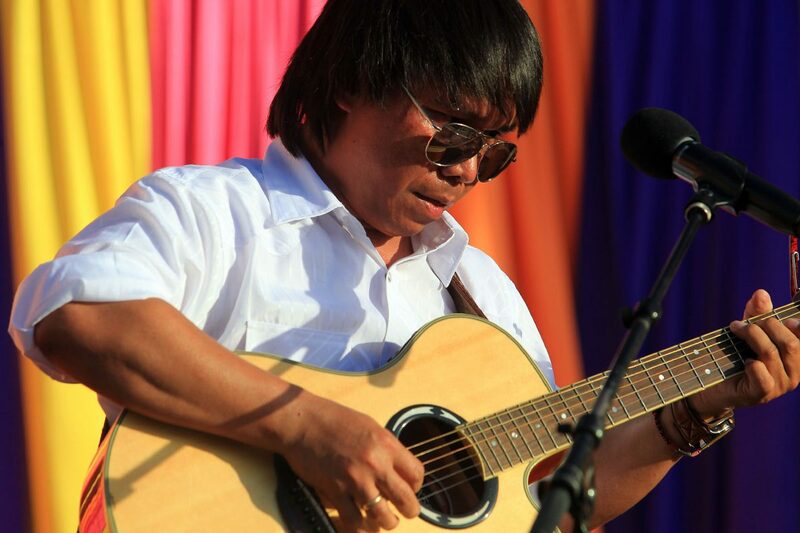 Arnold Villamero performs at the Filipino festival at Edinburg City Hall on Friday, June 8, 2018, in Edinburg. 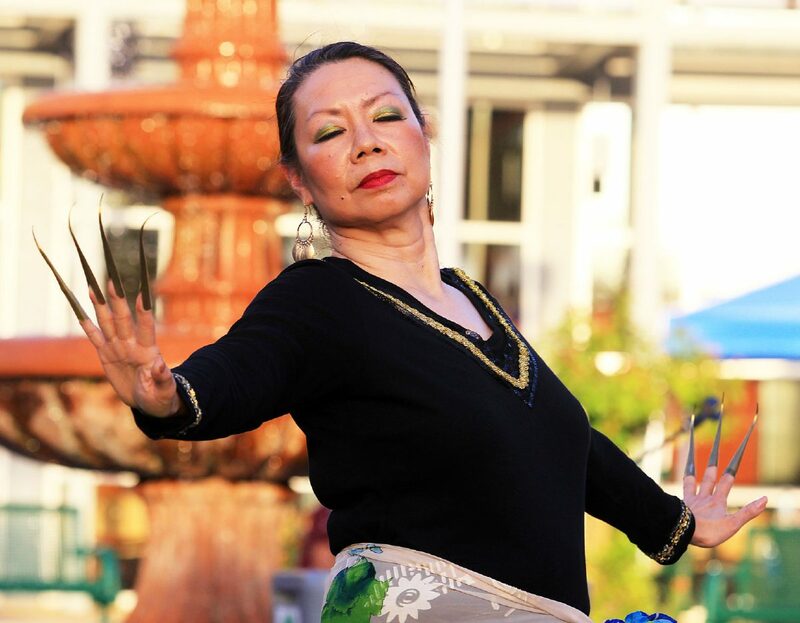 EDINBURG — Music, food, dance and art brought tradition and modern culture together at the third annual Filipino Festival on Friday evening at the City Hall courtyard. 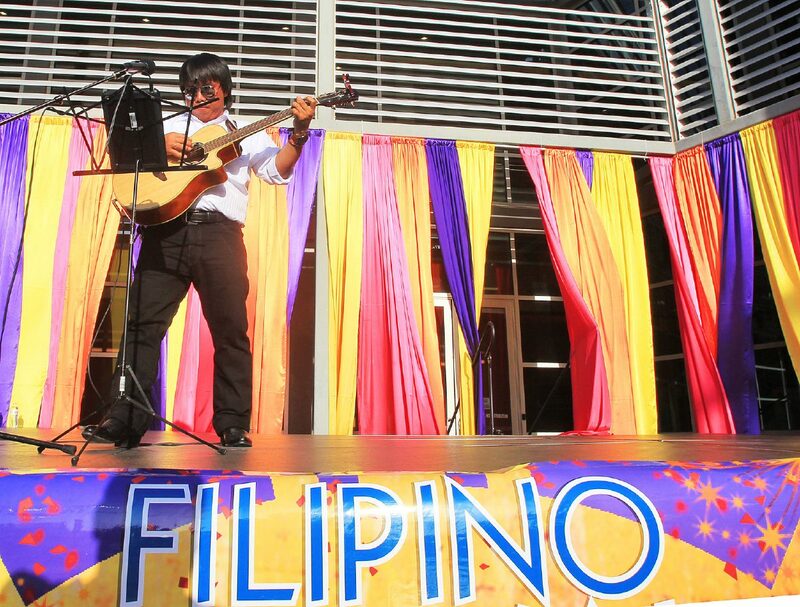 “We are here to show people what we’re about and what our culture means to us,” said Paolo Santiago, a UTRGV student and member of the Filipino Student Association, which participated in the event. The city of Edinburg, ANAK, and the Philippine-American Chambers of Commerce-RGV hosted the festival. Kusina Filipino Restaurant, Charlie Clark Nissan, and the Division of Nursing and Allied Health at STC were also present. It was a celebration of independence from Spain, of which the 120th anniversary is on Tuesday. 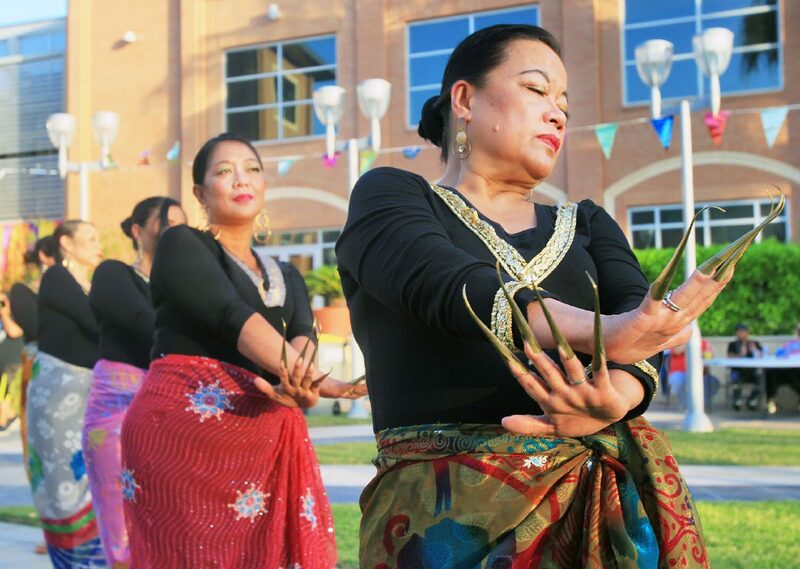 FSA at UTRGV sold boba tea, performed a dance called Bulaklakan, and sampled the traditional foods pancit and lumpia. Sanlahi dance group performs at the Filipino festival at Edinburg City Hall on Friday, June 8, 2018, in Edinburg. 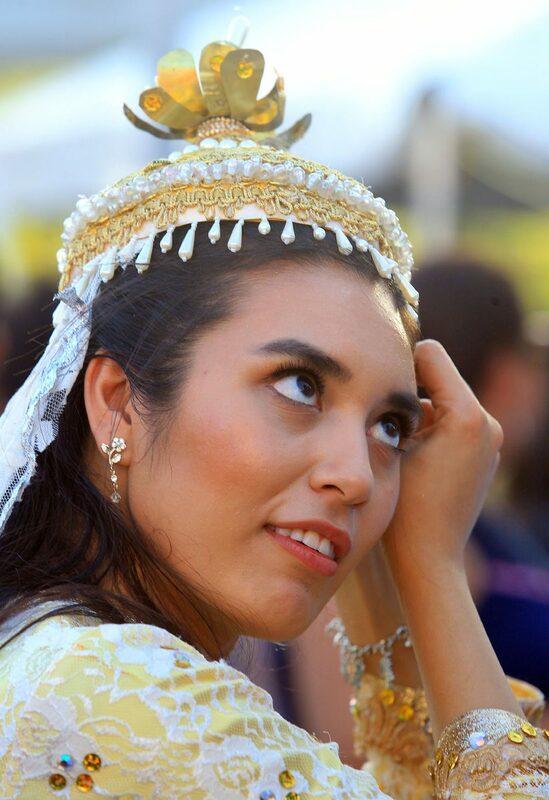 Jessica Sotelo gets ready for a costume showcase during the Filipino festival at Edinburg City Hall on Friday, June 8, 2018, in Edinburg. 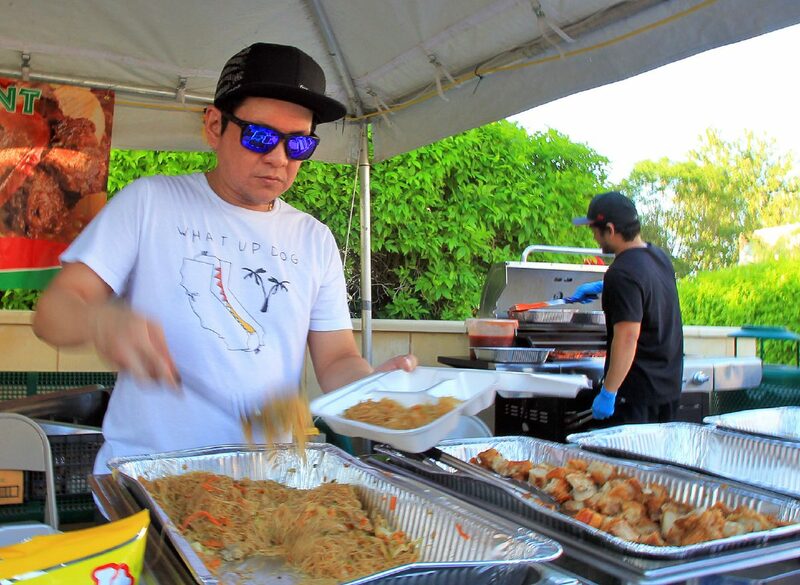 Erik Guzman serves food to vistors at the Pilipino festival at Edinburg City Hall on Friday, June 8, 2018, in Edinburg. Arnold Villamero perfroms at the Filipino festival at Edinburg City Hall on Friday, June 8, 2018, in Edinburg. Arlene Sanchez performs during the Filipino festival at Edinburg City Hall on Friday, June 8, 2018, in Edinburg. She has been part of the organization for over two years, and has made deep connections with the other members – many of whom are immigrants as well. Chee wants her fellow Filipinos to stay close to their roots, especially if they live in the Valley, because she said it’s “not too diverse” and their culture helps them stand out. “We’re all just trying to make it in America,” Chee said. Gus Mercado, chief of staff to the Philippine Consul for Texas and founder of the Philippine-American Chamber of Commerce in Texas, attended the event for the second year in a row. Three years ago, Mercado established a Philippine-American consul here so Filipinos in the Valley no longer had to travel to Dallas to renew their passport or apply for American citizenship. Mercado estimates there are at least 25,000 Filipinos in the Rio Grande Valley. Paolo Santiago, a student at UTRGV and member of FSA, emigrated to the U.S. from the Philippines at 4 years old. He said when people question who they are, an easy place to start is where they are from. That’s where celebrations like this come in. He believes residents of the Valley are aware of the Filipino population, but not the size of it. Kusina Filipino Restaurant catered the event, and manager Annie Liwanag spoke about the necessity of an event like this. She wants other Filipinos to have spaces where their culture stands strong and proud.